In 1895, the Aftermath Reading Circle began primarily as a literary and social club organized by a group of New Whatcom women. The name was suggested to indicate "a second gleaning." The organization provided opportunities for socializing and intellectual broadening as well as actively participating in community affairs. The Aftermath Club raised money for the new YMCA and offered an annual prize of $25 for the town's "most improved lawn." When the reading circle became the formal Aftermath Club the members took the opportunity to build a clubhouse. 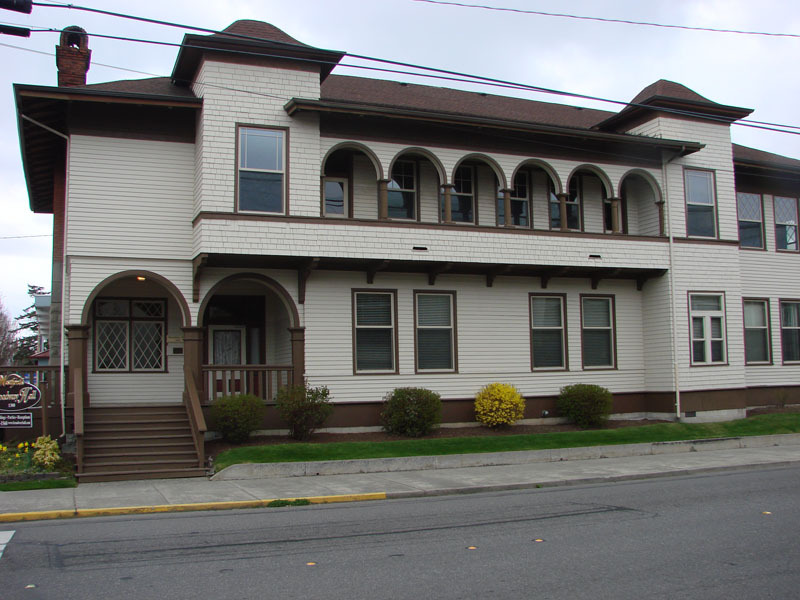 The structure they built in 1904 is estimated to be the first women's clubhouse in Washington. For many years this was the only clubhouse owned by members, unlike the men's clubs that charged higher dues and had no permanent location. Remarkably, the Aftermath club women managed to finance and pay off the debt of their property while continuing their charitable work. Along with its significance in local history, the Italian Villa style of architecture of this two-story wood frame clubhouse is notable. 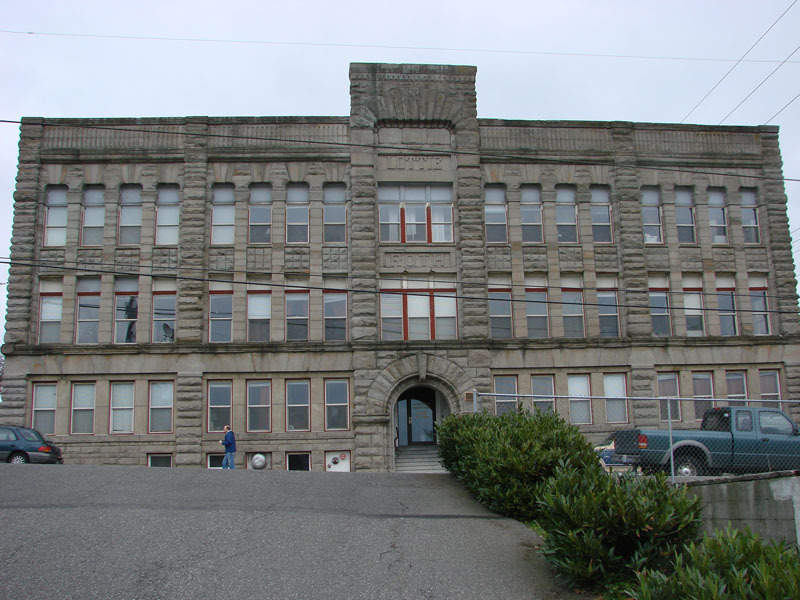 This type of building, common in the east, is relatively rare in the Pacific Northwest. The Aftermath Club's literary and cultural ambitions probably influenced their choice of style. 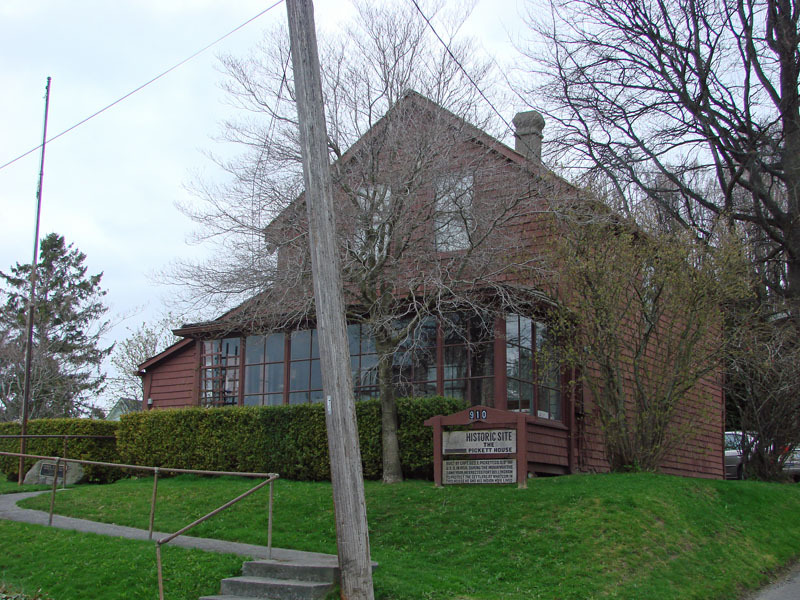 The Broadway Hall is owned and operated by Westford Funeral Home. The hall has been renovated and upgraded to reflect its original character, and is available for weddings, funerals, parties, dances and community events. 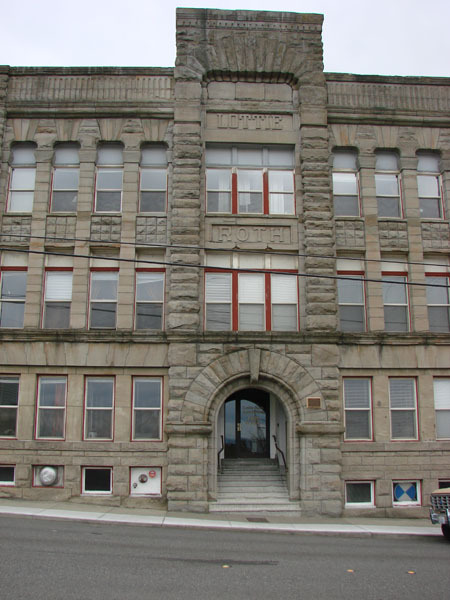 It has over 5,000 square feet of space available for rent and is listed on the National and State Historic Registers. Co-owner of the Bellingham Bay Quarry, Charles I. Roth, son-in-law to Henry Roeder, supplied much of the burned down Seattle with Chuckanut sandstone in 1889. Roth was tremendously impressed by the round-arched and sandstone-faced designs architect Elmer H. Fisher was building in Seattle's Pioneer Square area. The famous eastern architect, Henry Hobson Richardson, for whom the architectural style Richardsonian Romanesque is named, inspired Fisher's work. Roth was inspired to showcase his sandstone quarry product in this style with a large block building in Bellingham. The building constructed in 1890 was named The Lottie Roth Block after Charles' wife. The south and east exterior walls are constructed of Chuckanut sandstone, the north and west walls are brick, and the interior is wood. Upon the building's completion a bank occupied the first floor, while the top two floors were rented as office space. In February 1891 the two towns of Whatcom and New Whatcom merged, shifting the location of new construction from the west of Whatcom Creek to the east. By 1895, the Lottie Roth Block was isolated from the developing downtown area. Following the bank's vacation of the first floor in 1896 the Imperial City News moved in. The newspaper failed soon afterward, and the building then became the Chuckanut Hotel. The Lottie Roth Block became apartments in 1918, and it continues that use today. 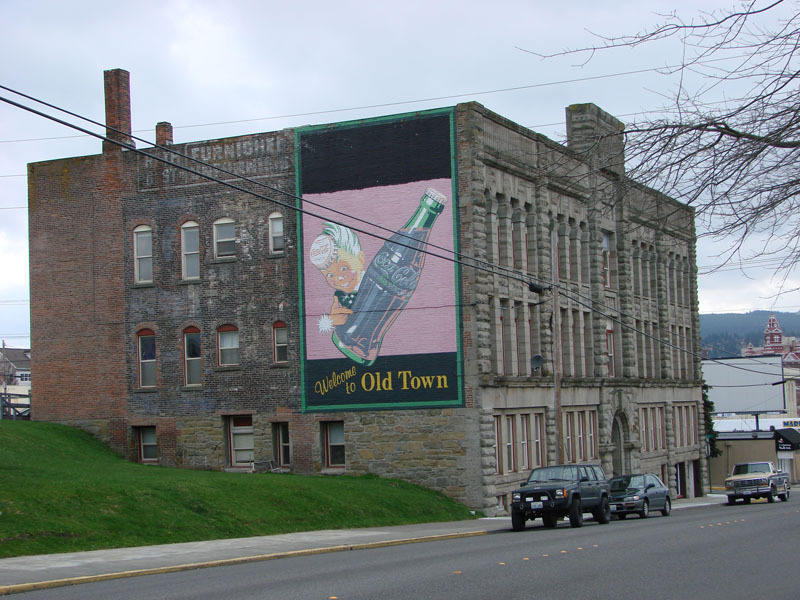 Of the numerous other Richardsonian Romanesque buildings with Chuckanut Sandstone exteriors that were built, the Lottie Roth Block is the all that is left in Bellingham. Fire and demolition has taken down the Pike Block, Sunset Block, Lighthouse Block and the old G Street courthouse. In the end, the Lottie Roth Block's location away from the center of the city proved beneficial to its survival. The list of changes made to this building are few, and include, creating more apartment units by diving the high ceilings, which required replacing the first floors large plate glass windows. An interior feature of interest is the remarkable original woodwork of the banisters and railings that are highlighted by three large skylights. Fearing raids from the British Columbia Indians early Bellingham settlers would crowd together into the stockade house on Peabody hill at night. Company D of the Ninth Infantry was dispatched to offer security and protection. They were led by Captain George E. Pickett, long time friend of President Lincoln, a graduate of West Point in Virginia and veteran of the Mexican War. Fort Bellingham, where the stockade was erected, was three miles west of Whatcom Creek. Soon after his arrival Captain Pickett began building his house on the bluff above Henry Roeder's lumber mill using planks from the mill. 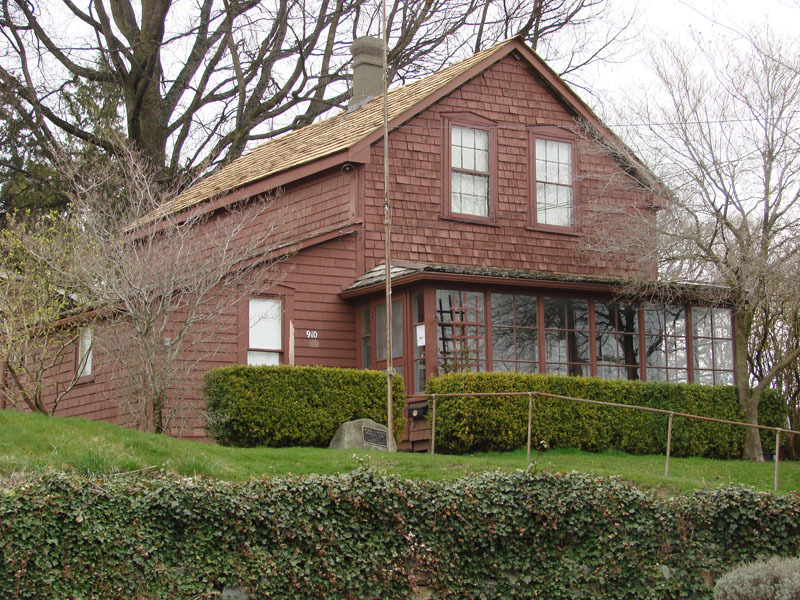 Pickett's house has the distinction of being the oldest building in Bellingham. Pickett's house was a simple two-story building composed of undressed planks. The main section of the house measured only 15 feet wide and 25 feet deep. The first floor was composed of two rooms and the second floor, reached by ladder, had two bedrooms. A lean-to on the west side of the house contained the kitchen and dining room. A fireplace made of stick and mud heated the house. The first room in the house became Pickett's study, where he conducted much of his official business. 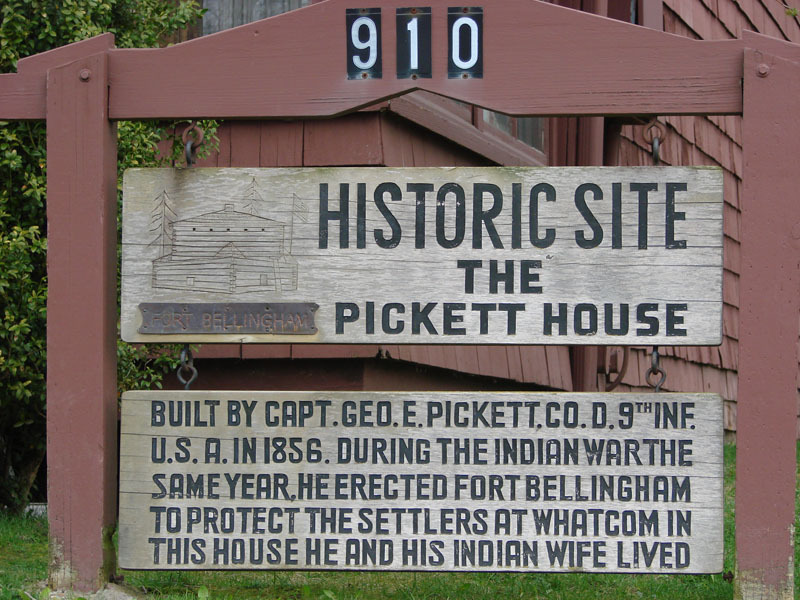 During his stay, Pickett married an Indian woman who gave birth to a son, James Tilton Pickett, in 1857. The mother died when James was still a child and he was sent to live with friends in Mason County. Since Captain Pickett's duties often took him away from Bellingham, his house was left vacant most of the time. Pickett left Bellingham in 1861, returning to Virginia to be a successful Confederate General in the Civil War. Pickett's house has changed ownership many times. 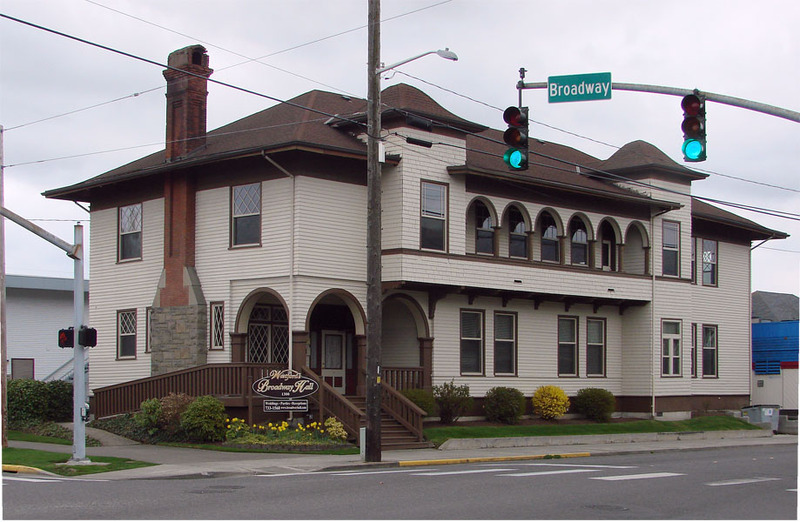 Hattie Strothers, who lived there from 1889 until her death in 1939, deeded the house and property to the Washington State Historical Society in 1936. 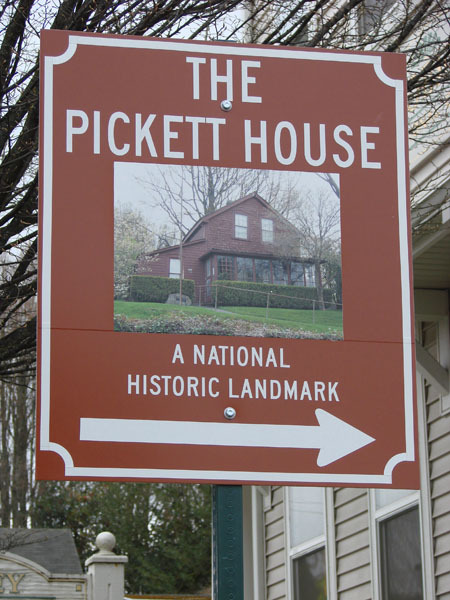 After her death the Pickett House became a historical monument and was later placed on the National Register of Historic Places. Numerous changes have been made to the Pickett house yet much of it remains in the original state. Most of the improvements have made the house more livable, including the rear addition of a new kitchen. The lean-to has been converted into a caretaker's apartment, the front study is now a living room, and a narrow stairway has replaced the ladder to the second floor. Other modifications are the glassed-in front porch and shingled exterior. 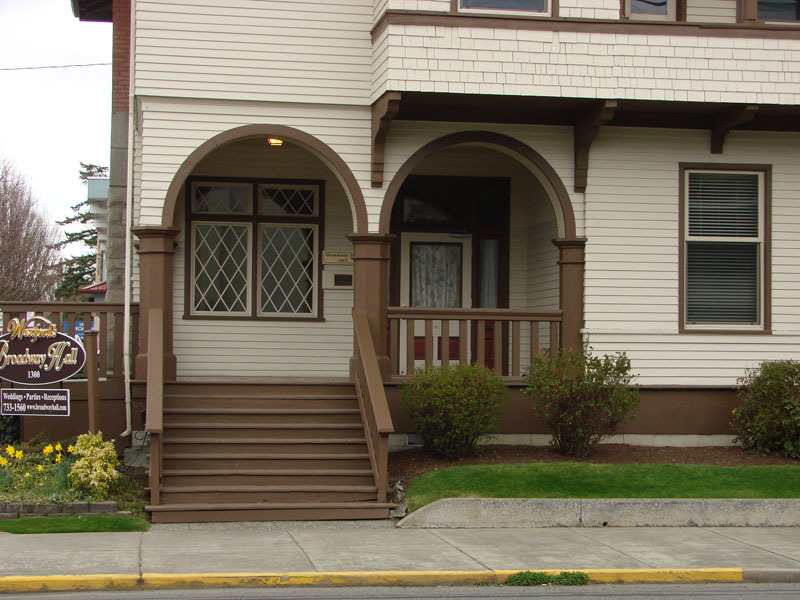 The Pickett House still serves as an excellent example of Bellingham's earliest style. To further preserve the structure, the Pickett house was designated as a museum in 1941, and in 1956, it became home to the Daughters of Pioneers. The Pickett house still serves both of these activities today. 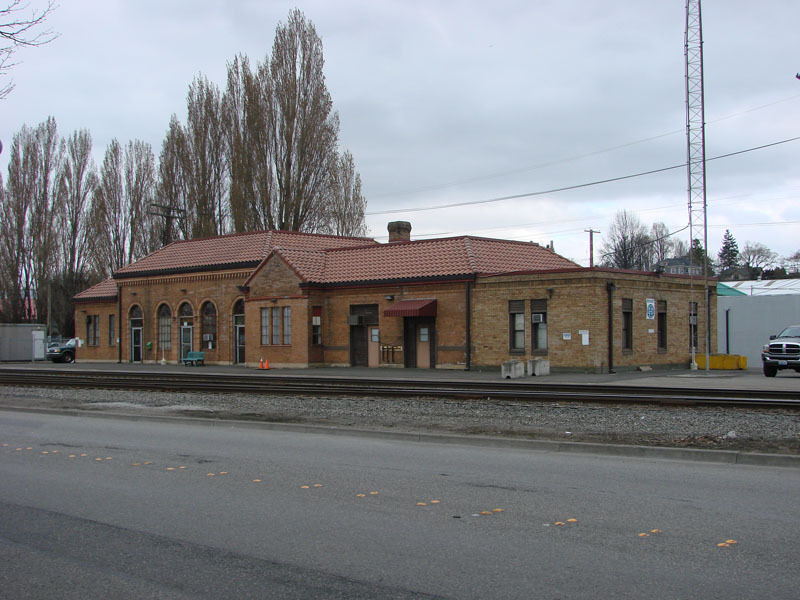 The first Bellingham connection of the Great Northern Railroad in 1890 crossed the tidal flats of Bellingham bay. After Great Northern filled in the land and relocated the tracks in 1902, they built a brick depot with a wood shingled roof. A little over twenty years later this depot burned down and a single story brick one was constructed in its place. 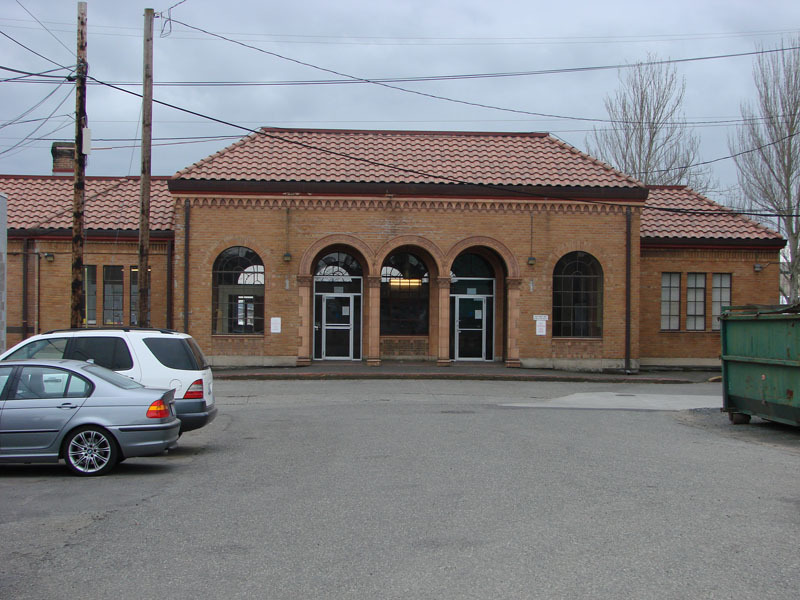 The passenger station built by local architect F. Stanley Piper, who created many other buildings of national historic significance, blends a Spanish tile roof with raised tendrils and Corinthian capitals for ornamentation. Three semicircular arches on the street side entrance, greeted people into the waiting room. The interior of the passenger station included wrought-iron chandeliers hung from a high, beamed ceiling. Great Northern often used an Indian motif in the design of their buildings, in this Passenger Station the motif can be found along the four wooden girders. The wings off of the waiting room originally held the agent's office, the baggage and express services and the ladies retiring room. 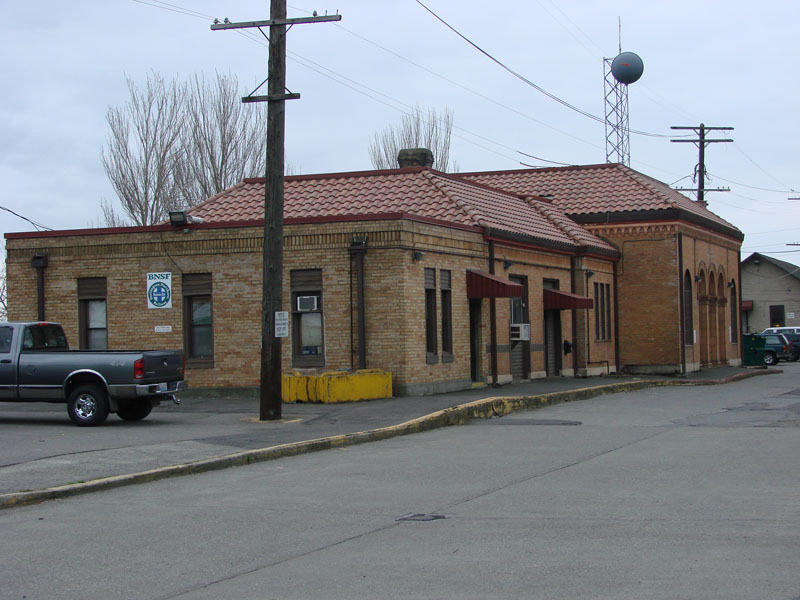 Great Northern Railroad utilized the station until 1969 at which point Burlington Northern began operating from this site. 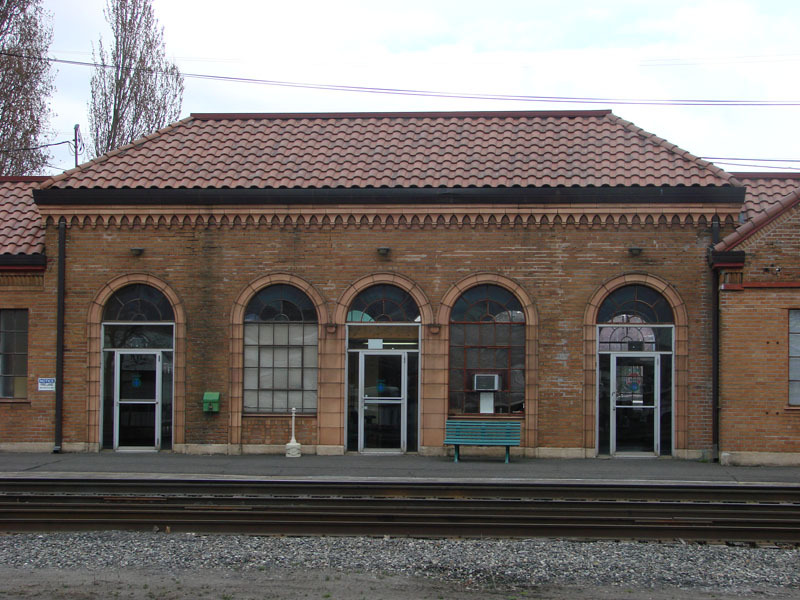 In the early 1980s this station was still used for passenger service by Amtrak, which now utilizes the terminal in Fairhaven. Currently, this structure houses the switching operations for Burlington Northern's north district. National Register of Historic Places, 2003, and State and Local status. During the height of the Fraser River gold rush in the summer of 1858 the firm of T.G. Richards designed this brick structure as a combination general store, bank and warehouse. 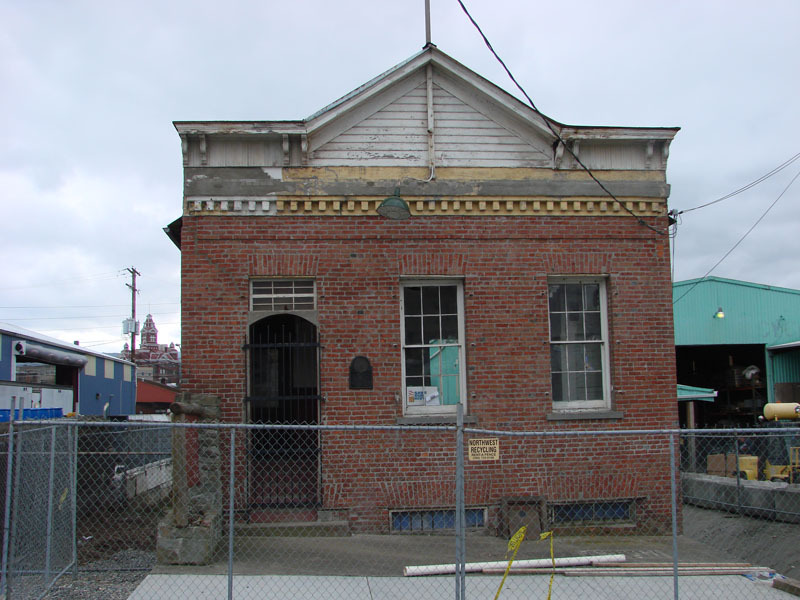 This was not only the first brick building in Bellingham or Washington State, but the first one north of San Francisco. The brick was constructed in Philadelphia and shipped from San Francisco along with the iron and glass on the same ship bringing miners to the gold fields. The final cost of construction was $8,000. See [Old Courthouse Renovation] for more pictures; a set taken on Feb 17 2007 before the restoration and a set taken on Sept 23 2008 during the restoration.